The University of Michigan has partnered with Local Motors to use the company’s vehicles for research and development purposes in an effort to build a fleet of autonomous cars. Phoenix-based Local Motors manufactures vehicles, focusing on low-volume manufacturing of open-source motor vehicle designs. The company built a fleet of vehicles specifically for research purposes at universities. Olson says U-M will use the Local Motors Co-Created University Vehicles (LOCO) to develop a fleet of autonomous vehicles that will transport students around the university’s North Campus, an area a few miles away from the main campus where many engineering and art students have classes. Local Motors also partnered with Arizona State University and the University of Nevada at Las Vegas to gather research on advanced materials. 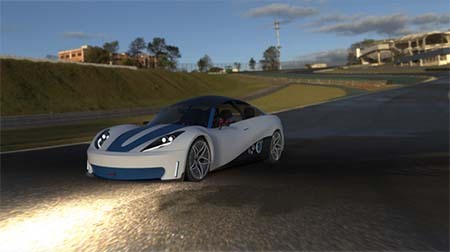 The company is simultaneously working on designing and building a 3D-printed low-speed electric vehicle, which it plans to debut in 2016, along with a highway-ready version later next year. In turn, the 13 founding partners of the University of Michigan’s emerging Mobility Transformation Center, an autonomous vehicle test village in Ann Arbor, are working on connected vehicle technology. The 32-acre test village includes four-lane roads with intersections, roadway markings, traffic signs and signals, sidewalks, benches, simulated buildings, streetlights, parked cars, pedestrians, and obstacles such as construction barriers. There, researchers will work on implementing a working system of connected and automated vehicles in Ann Arbor by 2021.